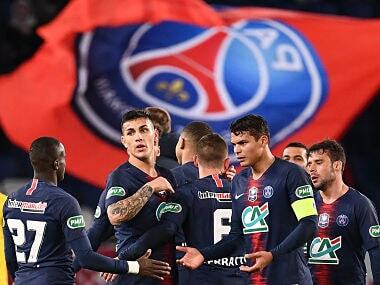 Paris: Paris Saint-Germain (PSG) kept their perfect start to the season going on Sunday, but the 2-0 win over Lyon also laid bare certain tensions in their all-star front line. PSG were leading 1-0 at the Parc des Princes when they won a penalty with 10 minutes remaining for a foul on Kylian Mbappe, making his home debut. Having already scored three times from the spot this season, Edinson Cavani assumed the responsibility would once again be his. Neymar tried to get the ball from the Uruguayan but it was Cavani who eventually took it. And his effort was brilliantly saved, Anthony Lopes tipping the ball onto the bar. "The penalties are taken by a couple of players, one is Cavani and the other is Neymar. There needs to be a gentleman's agreement on the pitch to decide who takes the penalties," coach Unai Emery admitted later. "We will sort things out internally for the next time, because I think they are both capable of taking them, and I want the two of them to mix up who takes them." Those comments, and the fact Cavani was unsuccessful from the spot, suggests Neymar will get his chance in future. Cavani himself tried to play down any rift telling Uruguayan radio this kind of thing happened all the time in football. "I don’t know why people believe these stories. The truth is this kind of thing is normal, something that happens in football," Cavani told Uruguay’s Radio Universal. "The truth is there’s no problem at all." "He (Neymar) just arrived, he will surely emerge more and more. As I’ve said from the very beginning, we all have the positivity and willingness to help him adapt in the best way possible. I think he has shown he’s adapting quickly," said Cavani. The Brazilian had previously tried and failed to grab the ball from Cavani when a penalty was awarded in the 3-0 win over Saint-Etienne last month. Cavani scored that time. Earlier in Sunday's game, the duo disagreed over who should take a free-kick with the match still goalless. Dani Alves intervened to give his compatriot the ball on that occasion, and Neymar's strike was saved. "They are two great players. They want to score goals. There are no problems between them, everything is fine," insisted PSG defender Presnel Kimpembe. Most coaches would envy the embarrassment of riches at Emery's disposal. 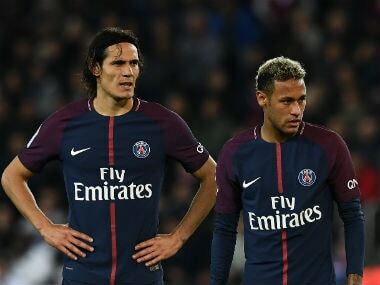 The 'MCN' front line of Mbappe, Cavani and Neymar has cost the capital club €466 million euros ($557 million, £411 million) but now the coach has to somehow keep them all happy. Cavani scored a remarkable 49 goals in all competitions last season and already has nine this season — it would have been 10 had the opener against Lyon not been credited as a Marcelo own goal. But Cavani, who previously lived in the shadow of Zlatan Ibrahimovic, has seen PSG commit the two biggest transfer fees in history to sign Neymar and Mbappe. And €222 million man Neymar has come to Paris to be the main man after spending four years in Lionel Messi's shadow at Barcelona. "This victory has exposed tensions between Neymar and Cavani," said sports daily L'Equipe on its front page on Monday. 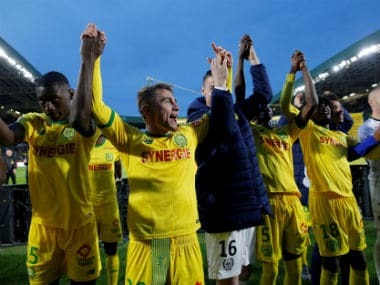 The 'MCN' scored eight goals between them in their first two matches together against Metz (5-1) and Celtic (5-0), but Sunday was less encouraging. 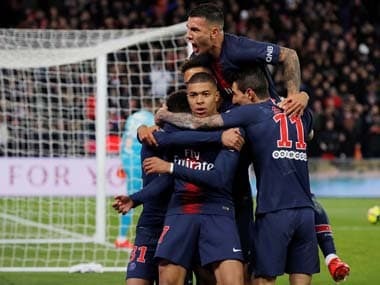 Cavani saw very little of the ball, while Neymar and Mbappe were relatively subdued, even if they combined to force PSG's second on the night, a Jeremy Morel own goal. Julian Draxler, a €40 million signing from Wolfsburg in January, was also shoehorned into the team on Sunday, but overloading the side with attacking stars is to the detriment of the overall balance. PSG have not slipped up yet, but Sunday's game showed that Emery has plenty on his plate.